18 July 2017 Unlocked content from the archive. Farmer and author Charles Massy has been thinking intensely about the environment and our relationship to it for most of his life. Brought up in the industrial farming tradition, with its heavy use of chemicals, he eventually turned to alternative, holistic methods of working the land. In Call of the Reed Warbler, Massy argues for five regenerative landscape functions to restore health to the land: solar, water, soil, dynamic eco-systems and the human-social. The last point is perhaps the most important: we humans need to change our attitude to the land. Western thinking, what Massy calls the ‘mechanical mind’, seeks to brutally dominate the land. Instead we need to embrace the ‘emergent mind’, one that uses technology and science judiciously, but also stands back and allows nature a space to find its own expression. Massy persuades the reader with a beautifully integrated mix of research, farmer interviews, personal story and a passionate reading of natural history literature. 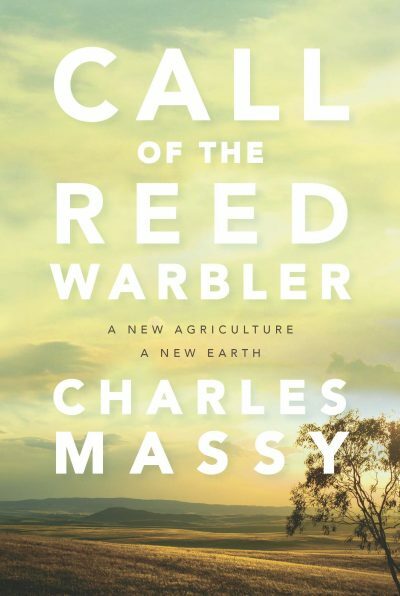 Call of the Reed Warbler has echoes of Thoreau’s Walden, Rachel Carson’s Silent Spring and Jared Diamond’s Collapse, and will appeal to anyone interested in issues of sustainability and environment. Its gentle yet compelling voice, its depth of feeling and honesty, its sense of purpose and vision, is sure to make it an Australian classic.